Yeah, I think I'm probably gonna go with a 70's SF twin. Sounds like the consensus is that even a mid 70's model will still be better than the new 65 reissue. Nice to have such a wealth of knowledge here to get my info from. I usually don't believe much I read on the internet, unless I've read it here. If I can find one without master volume then great, but that probably won't make or break my decision, the actual sound and functionality of the amp notwithstanding of course. Its funny, 15-20 years ago I would have never considered a 70's SF just because it doesn't look "50's". I don't care about that stuff anymore, I just care about tone. Look for a NAD post in the "other amps" thread one of these days! Buying one locally or online? Just curious if you see many in your area. I’ll buy locally. I live about 10 Miles from Dave’s Guitar Shop, a gretschpages sponsor. I’m pretty lucky to have such a nice shop so close. Awesome people, great shop. They’re always getting a steady stream of used vintage gear (enough that my guilty pleasure is going online and browsing their “new arrivals” many times a day!) so there is usually a few old twins to look at. If you’re ever in La Crosse, WI area it’s worth a trip to browse the guitars, both the ones on the floor as well as Dave’s private collection that isn’t for sale upstairs. I didn’t mean for this to turn into an ad, it’s just a very cool place with a lot of history for me. I think if you go with an SF model Nick, regardless which one but preferably a pre-MV version you won't be disappointed. And you're right about this being a great place to find opinions and advice. Your thread shows opinions from a wide range of players, ages and undoubtedly styles of music played and guitars used and the common denominator is that a good SF amp is a preferable choice over a reissue. Today, to get the quality of the older Fenders, you're looking at the boutique arm of the amp industry and while there's lots of good ones, you'll sure pay for that higher quality and that prices you out of their consideration given your budget. I'm still curious about your need for the power a Twin gives, given the pita of moving one around, and watt requirements Moving one, like a Super, gets old quickly! I know you can put casters on them but they don't help with stairs or in 'n out of vehicles. Lots of guys gigging a lot around here have mentioned in other threads that weight plays a huge roll in their decision on what to buy, and in a lot of cases, their choice, for smaller venues has been the Princeton. Just for everyone's interest, here's the specs [according to Ampwares] of the main group of SF amps in our discussion. 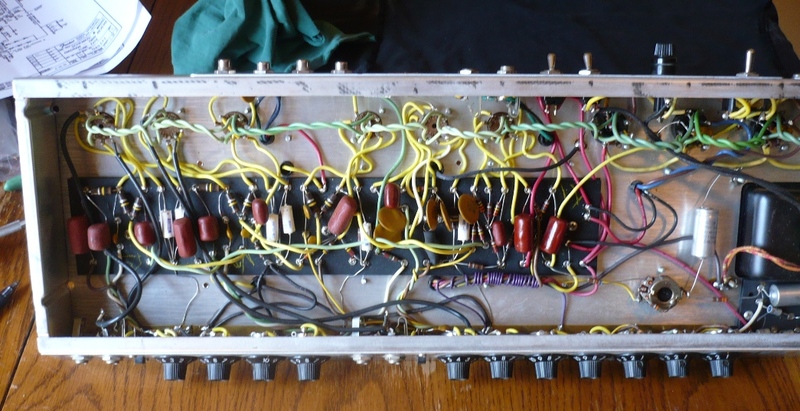 Princeton Reverb...………………...12 watts, 31 lbs. (slightly heavier if you squeeze in 12"). Deluxe Reverb...……………………22 watts, 40 lbs. Vibrolux Reverb...…………………..35 watts, 50 lbs. Pro Reverb...………………………..40 watts, 58 lbs. Super Reverb...……………………..40 watts, 86 lbs. Twin Reverb...……………………….100 watts, 69 lbs. Yeah that’s another consensus that I’ve gotten from you guys. The twin is waaay more amp than I need. You’re probably right. I’ll see what’s at the shop when the day comes that I’m ready to make my purchase. Hopefully they’ll have a pro I can try. I'd say Nick that either the Pro or the VR would do the job for you. The VR is significantly less heavy, is dimensionally slightly smaller and only 5 watts less. I'm not a fan of single 10" speakers but the dual 10" in the VR deliver the goods. Technical folks around here could answer why the dual 10's have such a significantly better sound. Another thing to note about the Pro's are that have a well earned rep of being loud. I once took mine to a gig with about 60 people but in a tall 2 story room that could've seated twice that many and I only needed it set at 5 1/2 with the guitar volume just shy of wide open and it was plenty loud enough for my solo fingerstyle work. The sound sure filled the room. Build quality/component/ease of service wise, the Peavey is a toy in comparison. Oh, I don't know. That seems a wee bit harsh. Anyone got any Peavey tube amp reliability or serviceability horror stories to tell? The only beef I have with Peavey is their horrid 80’s logo. But at least with that amp, in those years anyways, they tried to look like a Fender. I see the new DB115’s have an oval domed logo with their 80’s logo. That Darrel Higham cat sure gets a good sound out of one though! Methinks if anything, I was being nice, not harsh. What I should have said is "guitar amps are all toys." I've owned Fender amps since the 70s, Peaveys since the 80s. Appearances and construction methods aside, I've spent more money repairing Fenders. I've spent over 20 years playing Fenders that were older than myself without a single on-the-job breakdown - you do need to have them checked out by a tech who knows what he's doing before you start using a vintage amp all the time. And a current Peavey (or Fender, for that matter) is a very different animal than an older one. Well, a few months back I picked up a 68' Twin Reverb REISSUE for $220,(I gave the guy an extra $20 because i felt guilty) ,And ,It came with casters. It sounds great and works Fantastic. How did you get it for such a great price? Yeah, if I could find one for that price it would be a no-brainer. I'd gladly take the reissue for that! The reissues sound ok...if you don't know what a real one sounds like. I've been thinking about the post-72 master volume thing. I've seen some with the master volume that HAVE a push pull, and some that do not. Seeing as how these post-72 SF twins are probably as close to the real thing as I can get, while still in my price range, I have a couple questions. First, what is it about the master volume that is detrimental to the tone? Or does the master volume addition of 73 coincide with other changes done that year that hurt the tone? Second, what exactly does the push/pull feature do? I've heard it adds a bit of brightness to the tone. Is that about it? My buddy was given the amp in exchange for $200 that was owed to him, all he wanted was the $200 bucks. I couldnt give it to him fast enough. How many fingers did you cripple jammin' your hand into your pocket?! i played through a silverface Twin Reverb with the push-pull MV for most of the 70s/80s. it sounded just like a Twin; i don't see where the master affected it at all other than when the knob was pulled. it was great even with the stock Utah speakers. if i'd been able to put JBLs in it i might never have switched to a smaller amp. i can't imagine loading one into the back of my car now, though...i don't know how i used to carry it up four flights of stairs into my loft. The 68 ReIssue I have sounds damn good,never heard an Original though. Maybe best that I dont as I might get bummed out. Good plan Manny......avoid playing through any good original SF model. Ive got an amp called an ADA Rocket 10 that sounds better than anything I've ever heard ,regardless of price. Everything else I own is merely a backup.